Ice cream maker Ben & Jerry's is using the CoClear software to analyze its emissions. In Meinrenken’s eyes, traditional analyses were tedious and often incomplete. Armed with proprietary algorithms to calculate “emissions factors,” he believed he had a shortcut that provided a more comprehensive way to filter the immense amount of data across Pepsi’s business. Rather than manually calculating inputs, Meinrenken took in data from Pepsi’s enterprise resource planning systems and used statistics to “bridge gaps” and map out how each piece of the value chain interacted with another. 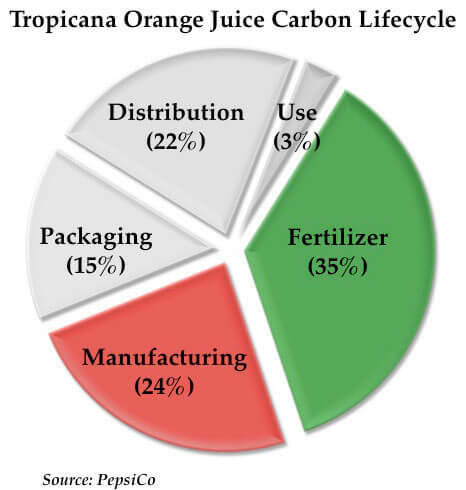 Very quickly, the Columbia University team uncovered the most carbon-intensive component of Tropicana orange juice: fertilizer. Pepsi executives were surprised to find that manufacturing and shipping were not the top carbon culprits. They were also impressed with Columbia’s modeling. Years later, they decided to perform a similar fast lifecycle analysis on more than 3,000 other Pepsi products across more than 30 brands. The results, documented in a peer-reviewed journal in 2012, showed that Pepsi was able to cut emissions by 8 per cent, and for $30 million less than what traditional lifecycle analyses might indicate. With those results in hand, the idea for a company was born. In 2013, a team of entrepreneurs with ties to Columbia University licensed the technology and independently turned it into an interactive software product. The startup, called CoClear, is looking to transform lifecycle analysis (LCA) by making corporate sustainability faster, cheaper and more accessible to decision makers. 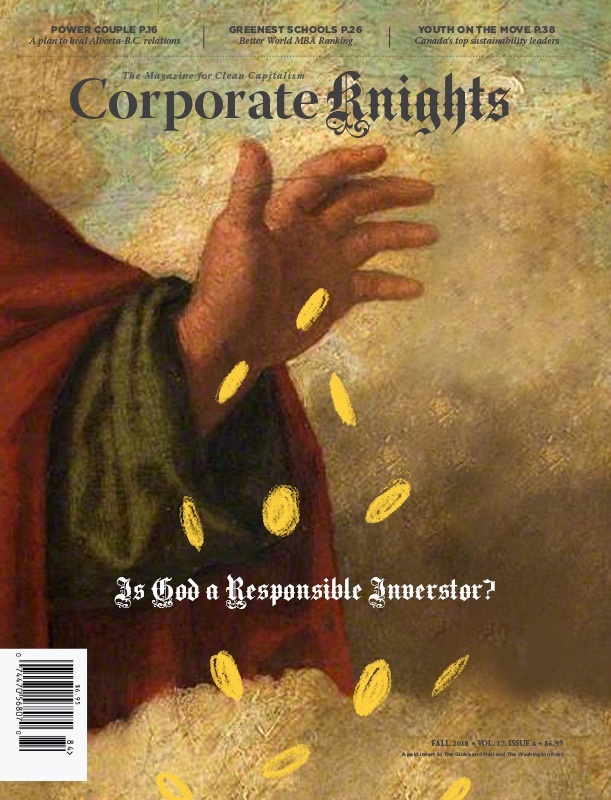 According to Sally Paridis, the company’s chief executive, sustainability consulting is controlled by four large firms: Deloitte, Ernst and Young, KPMG, and PwC. Her goal is to steadily erode the market share of those firms by offering a more automated product. “Our reports include product LCA, corporate carbon accounting, material and process scenarios, supply chain and risk mapping, key sustainability metrics, and target tracking. Having this all available via an app makes us unique,” said Paridis. With that touted advantage, Paridis estimates the company can eventually capture one-quarter of the consulting market. 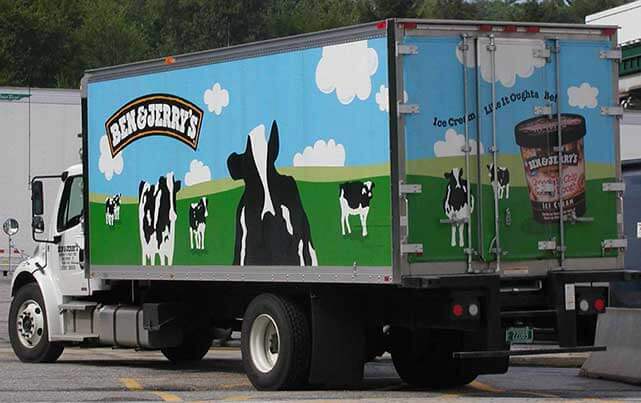 Ben & Jerry’s, a leader in sustainability, is currently in the process of setting greenhouse-gas reduction targets using the CoClear modeling software. The company’s focus is exclusively on emissions at the moment. But Andrea Asch, manager of natural resources at the ice cream maker, said the models could go much deeper, if needed. “The software offers great information in other environmental areas, like water, solid waste and direct energy consumed,” said Asch. Even with Ben & Jerry’s and Pepsi touting the product, breaking into the world of big sustainability consultancy firms will not be easy for CoClear. But Paridis and Meinrenken believe they have a superior product that will cut down on the top-down manual work that has dominated lifecycle analyses.